If you haven't had a crown, or other restorative dental work done lately, you may be in for quite a surprise the next time you do. Rather than the laborious process of creating a clay mold of your teeth which is then sent off to be made, returning weeks later – your dentist may instead take a quick electronic scan of your open mouth, send the results to a 3-D printer, and have your crown a few minutes later. That's right. Dentists are now able to generate a computerized aided design (CAD), using laser scanning equipment, that can then be uploaded to a state-of the-art 3-D printer that will print, or build the desired dental device to the most precise measurements, and thanks to new printer toner capabilities, colors - while you wait. And this is just the tip of the iceberg in terms of the world changing possibilities now becoming reality as the result of 3-D printing. The process of creating 3 dimensional prototypes has actually been around for years now, having been used mostly by architects and industrial designers wishing to see the CAD images on their computer screens turned into real objects they could hold, and examine in their hands. What is different now are the materials being used to create the end products. Up until now, these 3-D prototypes were restricted to being examples only, since the final printed product was akin to a clay model due to limitations in the material used. 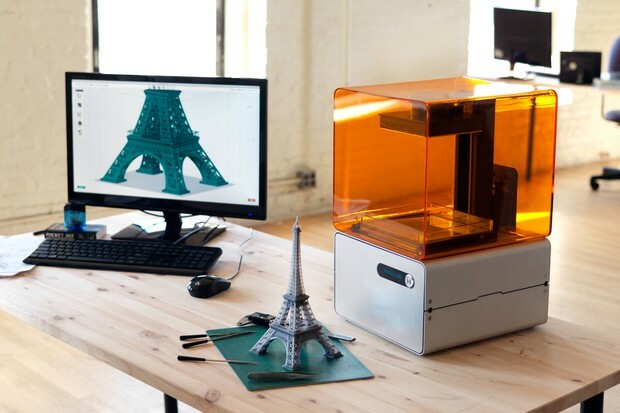 However, the technology behind the materials these printers can use advanced over the last few years so that we now see actual working tools and devices being produced by modern 3-D printers. A number of major chemical and engineering companies have worked to produce a variety of plastic blends and powdered metals that together comprise the rapidly advancing world of nano-composites, which are enabling 3-D printers to create durable products that can be used for their intended purposes. With the advent of this technology, a truly revolutionary transformation is underway in the world of production and consumption as the growth of what is now referred to as direct digital manufacturing begins to take hold. With the newly developed materials exhibiting real world strength and durability, industries from automotive, to aeronautical and medical, anticipate seeing 3-D printing technology become an increasingly significant component of their overall operations. Additionally, the design implications are virtually limitless with the inclusion of sophisticated new printer toner cartridges that are able to build a wide selection of colors and hues directly into the construction material as it's being printer. Instead of different components of a device being painted, printer toner advances ensure that materials are the same color inside and out. Industrial design and production has now arrived on the shop floor. With 3-D printer technology, almost any enterprise can use a laptop computer to design a tool, generate a CAD image from this, and produce a finished product simply by sending that image to a 3-D printer. Isn’t it amazing what we can do with printers now? We have so many types of printing and printers available, besides label printers, inkjet printer and the other basic office tools. Not only is the dental world excited about using 3-D printing to improve patient services, but many other operations are also beginning to take notice. For example, makers of prosthetic devices feel that this advance may hold the key to building truly customized fittings that enable amputees to attain unheard of levels of comfort and functionality. And the construction capabilities of these printers allows the production of devices with very precise weight-bearing characteristics for different angles of use that correspond each individual user; something unheard of until now. Aerospace and automotive engineers are already experimenting with producing production tools and product components that can be generated via 3-D printing, saving millions on shipping and outsourcing costs. And with the range of advanced printer toner elements, consumers are free to print everything from their favorite flower, to that cool door knocker they saw on the way to work one day. With the possibility of incorporating laser scanners into smartphones, such developments are not difficult to imagine. Simply put, 3-D printing is opening an entirely new realm of industrial production and design that promises to big changes ahead.